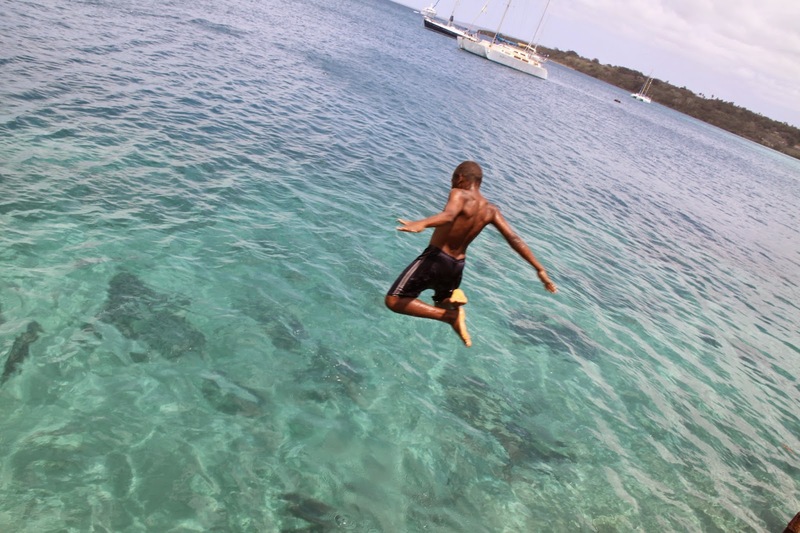 Bombs away off the coast in Port Vila, Vanuatu. Vanuatu is one of the ultimate get-away-from-it-all destinations. 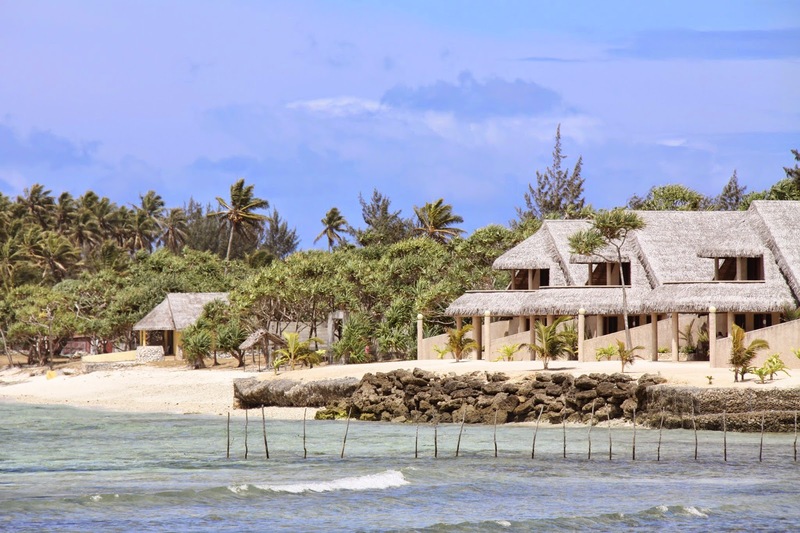 It's a choose-your-own-adventure trip where you can decide to remain stuck on your sunlounger listening to the sigh of the palm trees or venture beyond the confines of the resort to learn more about life in the Southwest Pacific island nation. 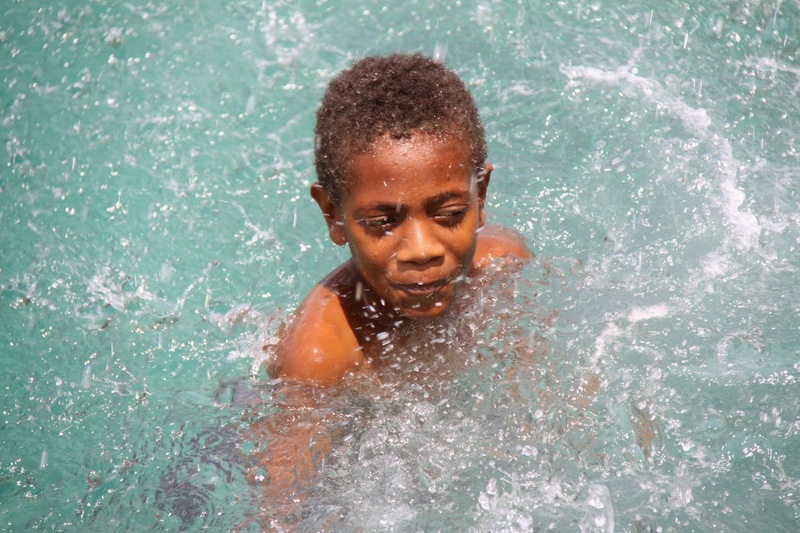 There are many beachside resorts in Vanuatu where you can do as little or as much as you like. While holidaying in Australia, at places such as the Hamilton Island or Palm Cove, my focus is very much on flopping about. But this South Pacific nation was new territory for The Husband and I and we felt compelled to stretch both our eyes and legs. 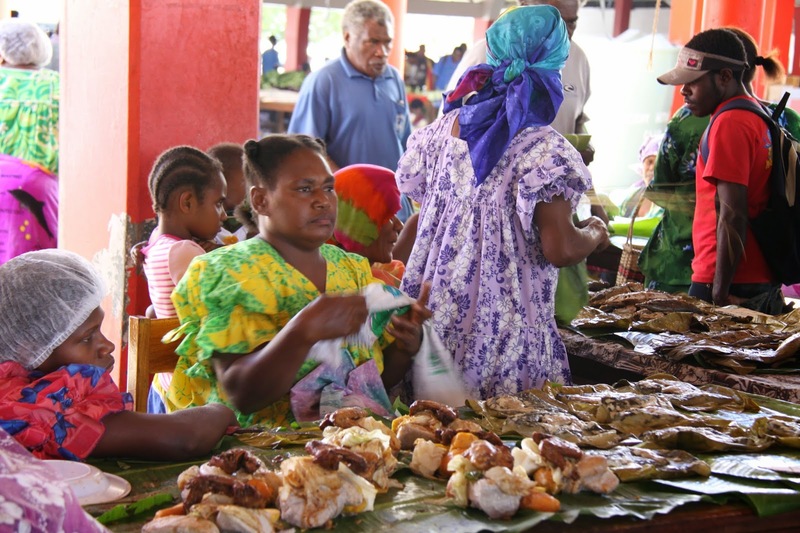 Locals visit the Port Vila market to buy takeaway meals that they bring home ready-to-cook in banana leaves. After catching the ferry into Port Vila, we trudged through the dust-filled streets to see what we could see. We sat watching young women cooking yam in banana leaves, had lunch with an Aussie social worker who was teaching carpentry to the prisoners in the town jail and learned from local stallholder Harry Moli that we'd fortuitously timed our visit to coincide with a cultural festival that - because of a lack of funding - only happens every three years. Dancers arrived in Port Vila for the National Festival of the Arts, a celebration of cultural diversity. The National Festival of the Arts is a celebration of cultural diversity for a sustainable economy. We follow our ears, drawn by the thrumming of drums, to the top of a hill overlooking the main drag of Port Vila, the nation's capital, to catch some of the action. The crowd at the cultural festival await for the pigs to be slaughtered and offered as part of the 'peace feast'. 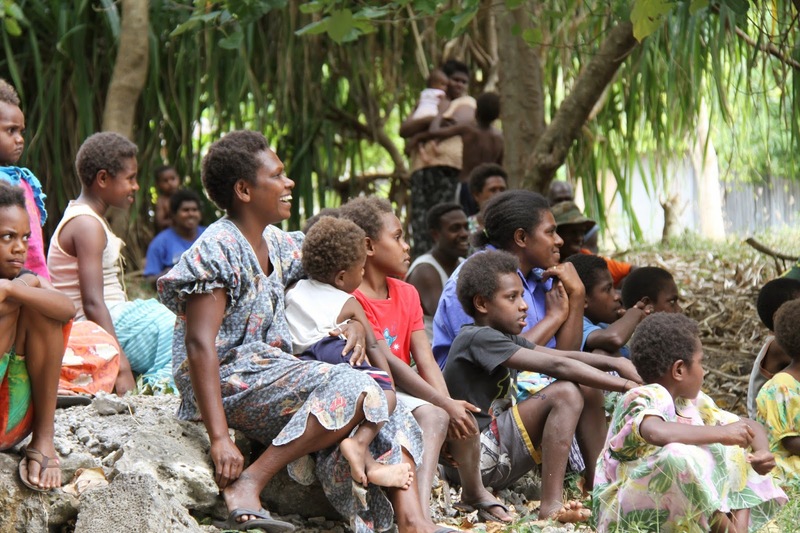 Despite a thronging crowd of locals and clans from different villages around Vanuatu, there are very few tourists present at the event where the slaughtering of pigs is now under way. We hang back a bit at first, but because of the intensity of the celebration, are soon drawn in closer to watch the dancers from various tribes lurch this way and that, squealing and shaking their spears. 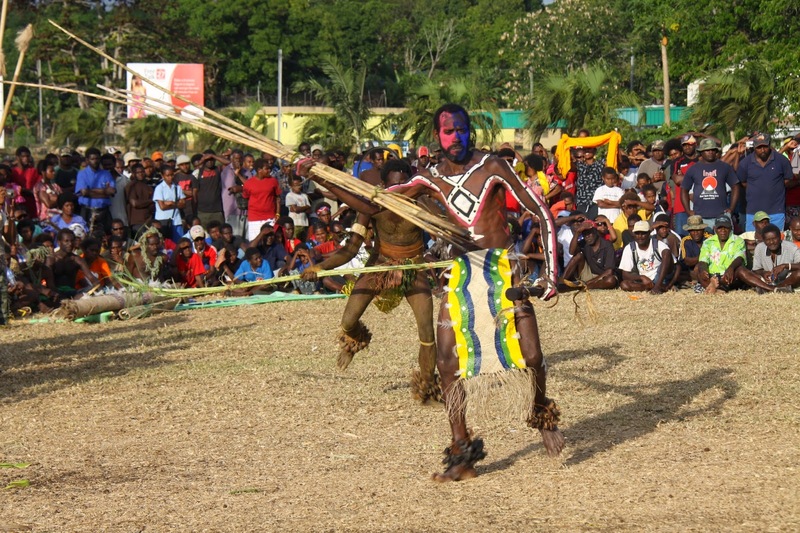 The National Festival of the Arts offers a great snapshot of traditions and customs still practiced all over Vanuatu. The men and women from the different clans are painted in neon-bright dye, clad in everything from elaborate loin cloths to grass skirts with feathered head dresses. We are completely transfixed and find a patch of grass next to Alison Fleming, one of the organisers, who explains that the pigs are given as offerings to chiefs from all around the Y-shaped chain of islands. The dancers clump together waiting for their turn to impress the other clans and villages. 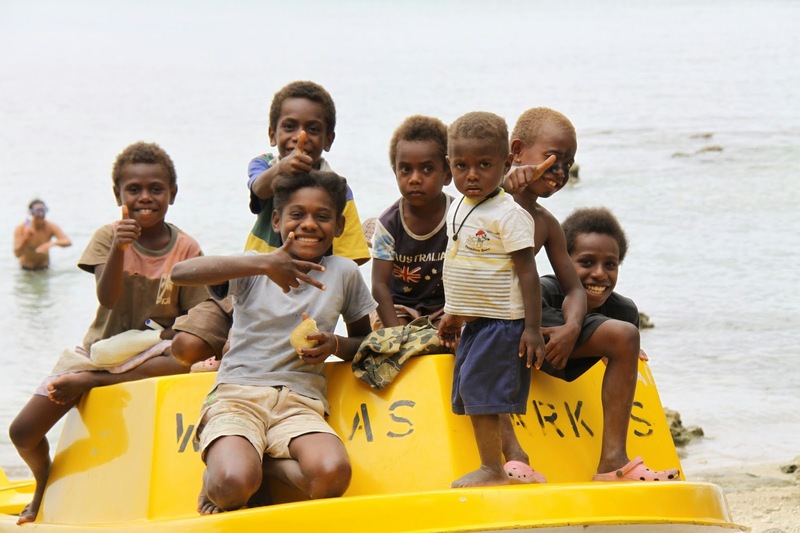 After the festival died down, Alison, a young Australian anthropologist from Canberra's ANU invites us to sit in on a cultural exchange occurring between a delegation of Maoris and the villagers of Mangaliliu on the island of Efate the following day . 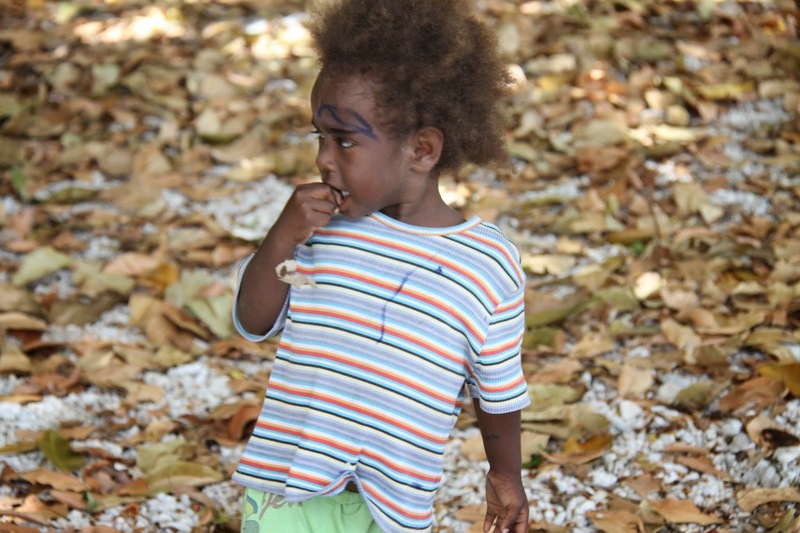 Chief Mur-Mur, of Mangaliliu, of the island of Efate. When we arrive at the village, Chief Mur-Mur is standing in the jungle welcoming the 12 Maoris from Rotorua who helped secure the island nation's first world heritage listing of Chief Roi Mata's Domain in 2008. "Nem blong mi chief Mur-Mur," says the chief of the village, who has a grandson attached to his hip and welcomes us as if we were family. Chief Mur-Mur's village is near to the now-abandoned site and the delegation are here to guide him on how to ensure the destination remains sustainable as a tourism venture and proffer advice on how best to preserve the site's cultural significance. 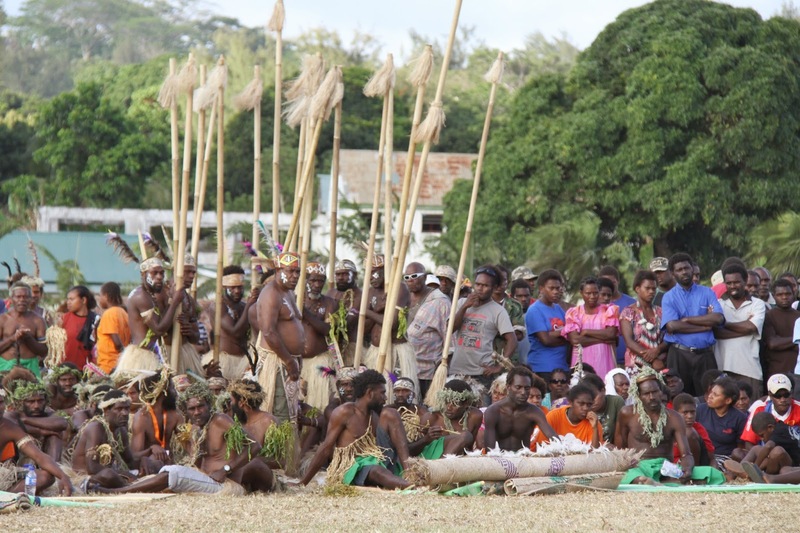 A re-enactment of life before Chief Roi Mata brought peace to the island nation of Vanuatu. 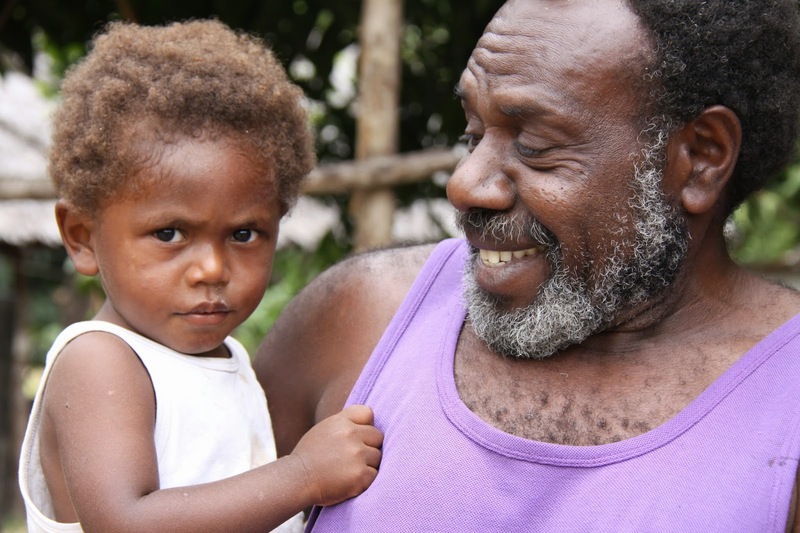 Chief Mur-Mur explains to us that the moral legacy of Roi Mata's social reforms remain front of mind in Vanuatu. He then claps his hands together as a group of villagers re-enact a scene that took place about 4 1/2 centuries ago, when Roi Mata reconciled the warring tribes and brokered a peace deal that united all of the islands. 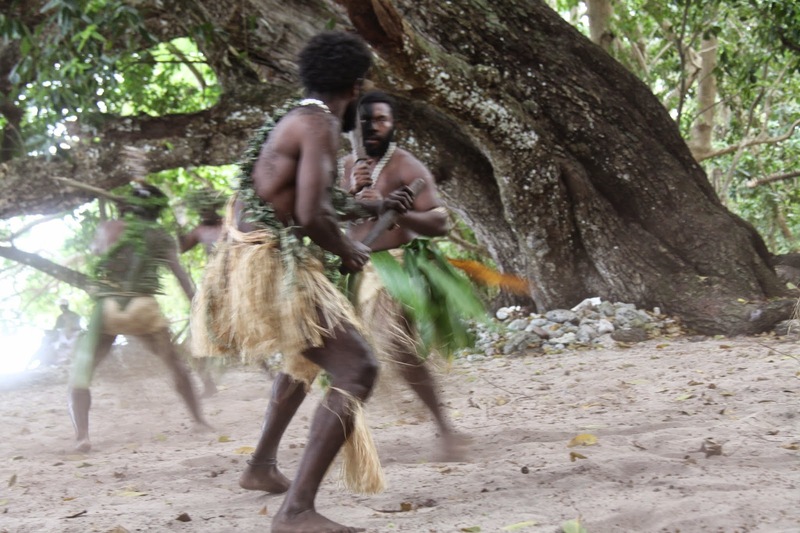 Seeing this haka performed on the dirt floor of the village remains a highlight from my travels. 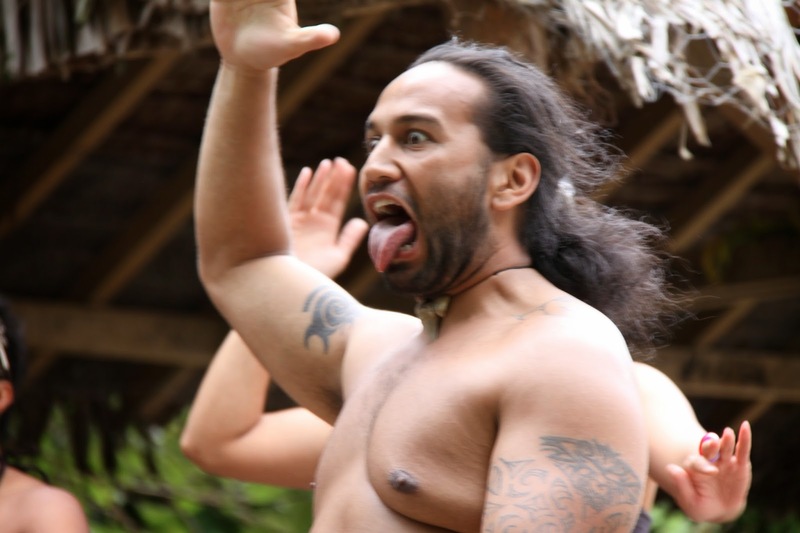 We then watch, in awe, as the men from the Tamaki Maori village in Rotorua declare they come in peace but would like to demonstrate, in return a haka - to complete the cultural exchange - right there on the sand floor under a canopy of green. Maori chiefs from the Tamaka Maori village in Rotorua perform a haka in the village. It was a spine-tingling performance and the villagers were enthralled, some giggling, others wide-eyed. We were then invited to share a feast with the Maoris and local villagers, who, in between mouthfuls, marvelled at some of the words they had in common. The feast we shared with the Maori delegations and local villagers of Mangaliliu. 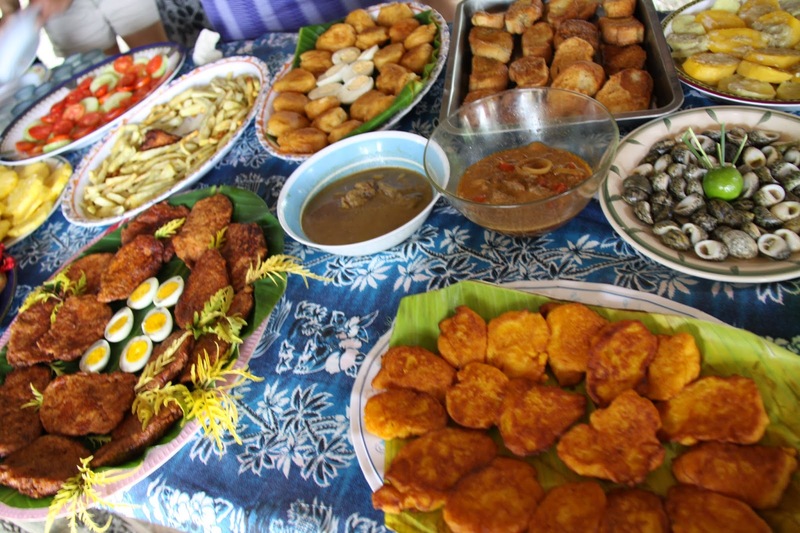 The feast was laid out on a colourful tablecloth under a palm-thatched hat on the beach and included pork-filled tuluk, laplap, vegetables, eggs, and capsicum, yam fritters, beef stew, taro topped with fried fish and chicken wings cooked in coconut. The whole village converged to watch the Maori guests perform a haka. 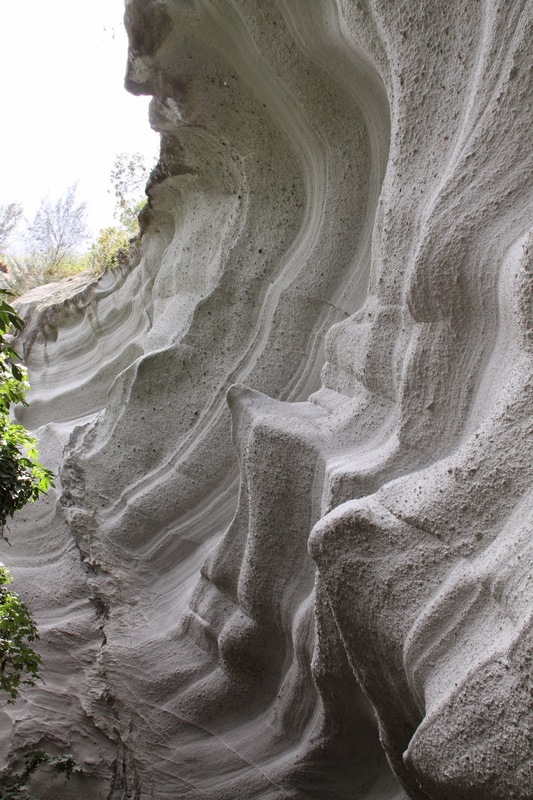 The soaring walls of Fels Cave, on Lelepa Island. After the feast, we travel by boat through turqouise-green seas over to Lelepa Island scrambling over boulders and up the stairs until we reach Fels Cave, an enormous eggshell-coloured rock formation. While the exterior is rippled and curved and incredible, the walls of the cavernous space are burnished and smooth and soar, like ice cream cathedrals, some 55m above us. Today, you can take a Roi Mata tour to the village, an hour's drive northwest of Port Vila and hear the story about the revered chief who was reportedly poisoned by his own brother in the early 1600s. The tour also steers visitors to the cave where Roi Mata was said to have taken his last breath. The large chamber cave also features engraved rock art as well as ominous dates scratched into the wall, historical graffiti that announces the arrival of missionaries in 1874. Happy smiling faces greet us at the village of Mangaliliu. 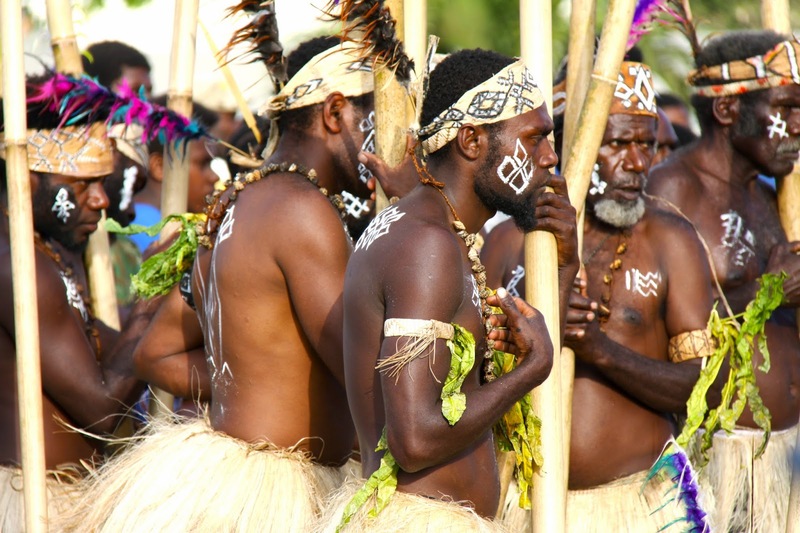 What enriches this history lesson is the fact that it is knowledge passed down as part of the oral traditions practised by chiefs for the last four centuries, which has ensured Roi Mata remains a central character in contemporary Vanuatu. Making a splash at Mangaliliu. Roi Mata's vision for peace promotes the benefits for all to live together in harmony. Perhaps the trickle-on effect of this resulted in the island nation being awarded Happiest Place on Earth by the New Economics Foundation in 2006. Such a treat to be invited into a local village to meet the families who call Mangaliliu home. One of the most wonderful things about travelling is when such lucky encounters land in your lap. Besides rewarding us with a really layered understanding of Vanuatu's legendary chief, chancing upon such a colourful cultural exchange meant we truly found our happy place. 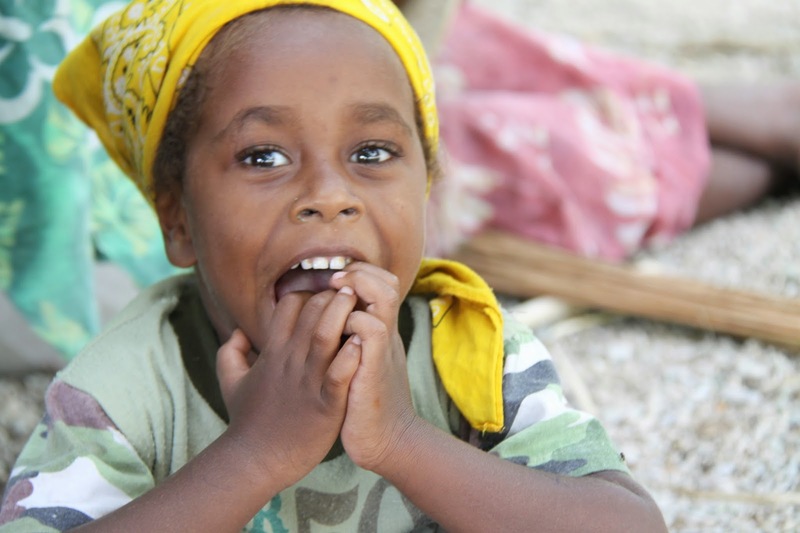 Everywhere we went in Vanuatu, we were met by smiling happy faces. 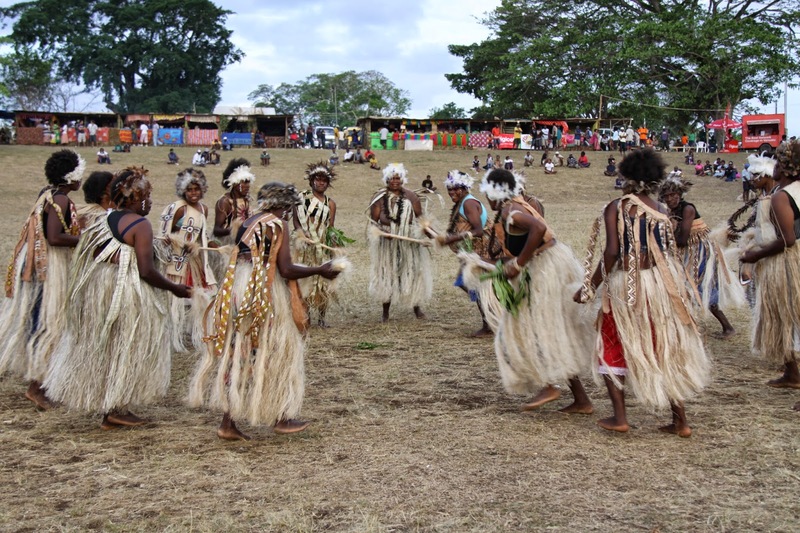 Visit www.vanuatu.travel or chiefroimatasdomain.com/ for more information.